Cara Delevingne shows off the luxe fashion brand’s most recent collection with an unconventional accessory by her side: owls! 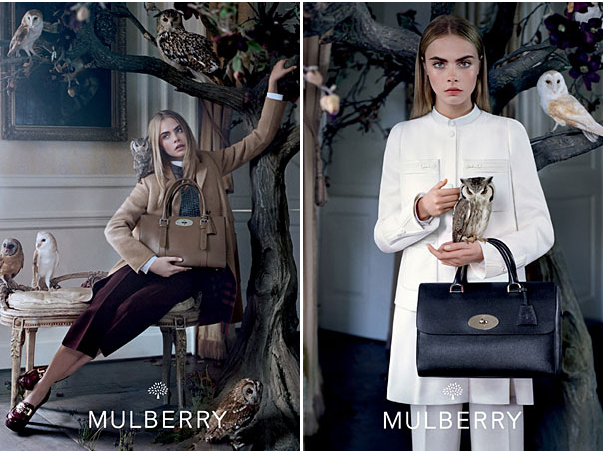 That’s right, British model and It Girl, Cara Delevingne is the face of Mulberry’s new fall 2013 ad campaign. Shot by famed British photographer at the Shotover House in Oxfordshire, the images are absolutely beautiful (as is the collection) and you can definitely feel the beauty and elegance of the English country side in each look. With the owls perched on Delevingne’s arms and shoulders, there is an era of mystery and sophistication that the classic British brand is putting forth for its new season. 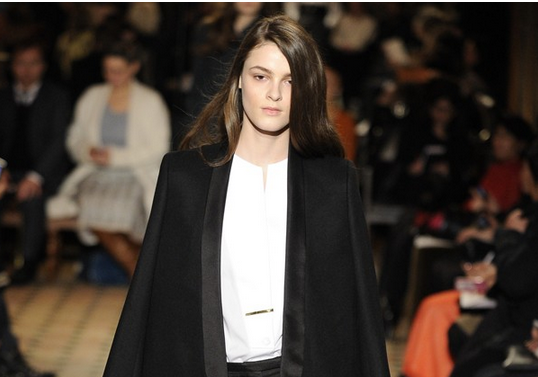 The new collection is the epitome of class and elegance, with a burgundy, white and black colour palette. The monochrome looks are the perfect way to showcase the brand’s iconic bags like the Willow and Bayswater, as well as the new Primrose.